Microtech T-Bot 4 3/4" overall. Stonewash finish titanium construction. 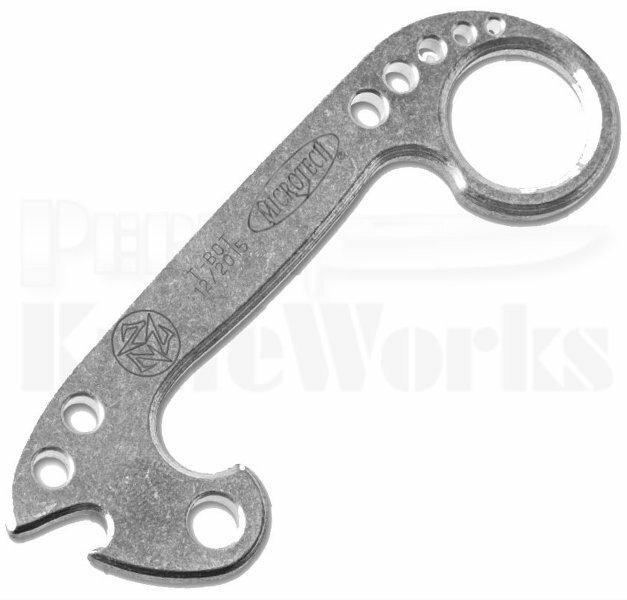 Designed as a striking implement, control device, and bottle opener. Designed by A. Marfione and D.C. Munroe.